This blog post talks about literature review structure and tells you four things expert writers always follow while writing a literature review. Think of your literature review like it’s an essay, structure it like one, make a coherent down-spiral debate, and make it look pleasing to the eye. That’s all. Literature review is a crucial part of your dissertation. Regardless of what kind of dissertation you’re writing, having a neatly structured literature review chapter is a must. Why? Well, because you simply can’t conduct a research study without a research question, and you can’t find a good research question without consulting scholarly literature. Now, what you learn from this review of literature goes into the literature review chapter because you need to demonstrate what you learned. See how it becomes a necessary part of your dissertation? This is why it’s very important you learn all you can about the structure of a literature review. Making a complex literary debate easy to follow for your reader is already a difficult task, and you’ll only make it more so by not paying attention to your literature review structure. Don’t forget these four crucial things when you draft your chapter and you’ll end up with a great literature review format. You must write your literature review like an essay. That means you need to make sure your structured literature review looks like a structured essay indeed. We learned in school an essay has three main bits: introduction, body, and conclusion. That’s how you need to divide your literature review essentially. The trick about dividing the words appropriately is simple. Remember that introduction and conclusion each takes about 10% of your essay’s word count. The remaining 80% goes into the body. So, if you’re writing a literature review of 4,000 words, use 400 each for the introduction and conclusion and use 3,200 for the body. Another thing about formatting a literature review like an essay is you should remember the chapter is part of a bigger whole, your dissertation (or paper). Leave details of other chapters out of your literature review. OK. It’s a Long Essay. A literature review draft is usually pretty long and that can complicate things for the writer. You’re supposed to produce a long essay that goes through a number of separate debates linked together by your research objectives. You’re supposed to make that essay an interesting one, something your university’s committee members and subsequent readers would love to follow through to the end. With that kind of pressure, there’s one thing that can help you do a great job of writing that draft apart from good writing itself. That’s formatting. 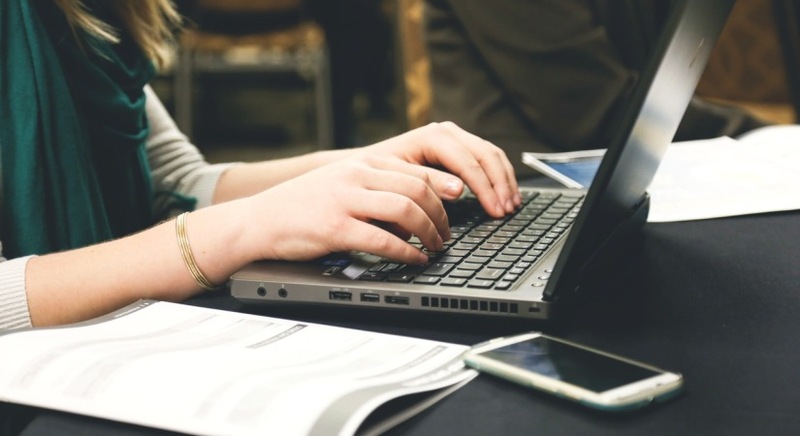 While there is no one particular literature review format for thesis (or dissertation) writing, use the traditional styles of the formatting system your university favours, be it Harvard, APA, or any other. Another important thing to remember is to structure your literature review content in a downward spiral. Like I hinted earlier, you’ll be using multiple debates out of the literature you read in your literature review chapter. You can’t go about discussing them all at once. Of course, you’ll need to write them in separate sections of the chapter. The key to success here is to make sure you start each section with discussing the broad ideas of the debate and then trickle down your paragraphs to the finer details of the arguments involved. Last, but not the least, make sure your literature review structure looks appealing. With tools, such as the right line spacing, paragraph spacing, visible font size for the text, different font sizes and effects for varying uses of text, etc., you can make your structured literature review look soothing to the eye and easy to follow. Don’t forget to use multiple heading levels to improve the quality of your text. Subsection headers of multiple levels make it easier for the reader to follow the debate you’re reporting. How did you like these important things to remember about structuring your literature review? Tell me in your replies below. Oh, and don’t forget to have a look at how we write a literature review. Ready to get rid of your literature review woes? You can do it right now!